Why don’t we give a Juggler of the month title to an employee? Let us see who has better co-ordination skills and this can be a stress busting game as well. Helps them improve their confidence as well. 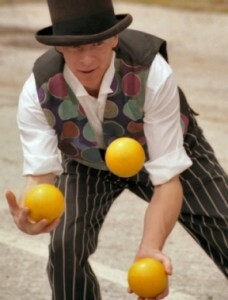 Start with 3 balls and the challenge goes on and on based on time of juggling or if they can increase the count of balls.